Enter the wonderful world of sensory learning experiences. Our range of tactile and visually stimulating resources help to promote inclusive learning as well as supporting a range of specific special education needs. The Touch Tags range uses six different textures and colours to create a rich, sensory learning experience. Children of all abilities can enjoy exploring the resources using sight and touch senses. The lightweight portability means learning can be easily moved from the classroom into a sensory room and even outdoors. The tactile tags are designed to provide a comforting outlet for fidgety fingers allowing children to concentrate on learning. The various seating options can also encourage good posture throughout Early Years and Primary education. Let natural curiosity lead exploration of light, sound and movement in a calming soft environment. 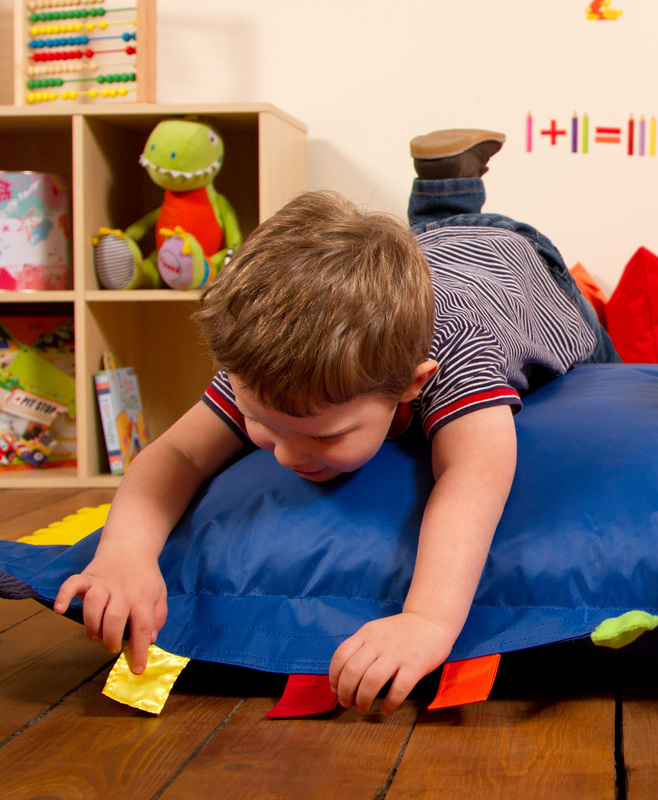 The deep pressure from bean or foam filled cushions provides an ideal source of proprioceptive input. Designed with UV lighting and bubble tubes in mind, lessons on space and science feel more vivid and experiential with these sensory resources, for learning that sparks the imagination all the way to another dimension.